A Brazilian woman’s longtime home on the outskirts of São Paulo was on the verge of collapse, its dilapidated condition threatening the structural integrity of two neighboring structures. 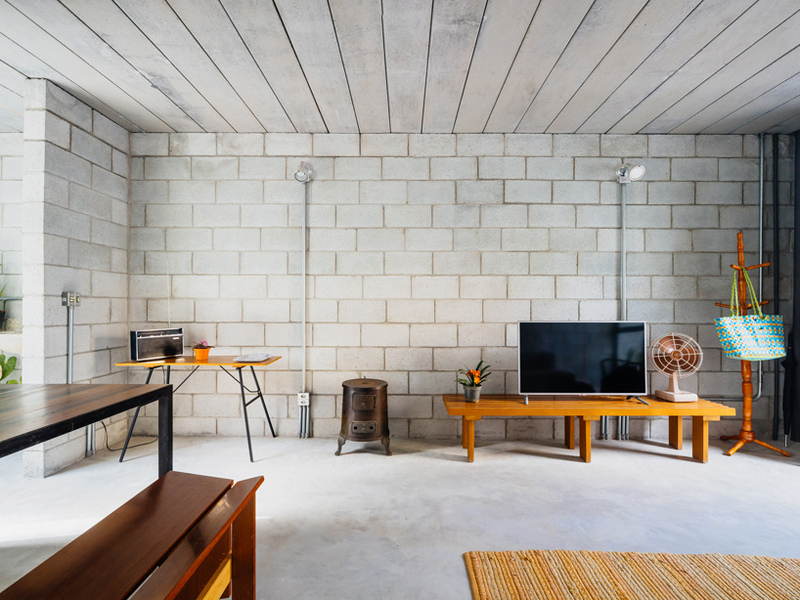 Since she already owned the property and didn’t want to move away from family and friends who live nearby, her son commissioned Terra e Tuma architects to find a low-budget solution for a comfortable home that fits the existing space. 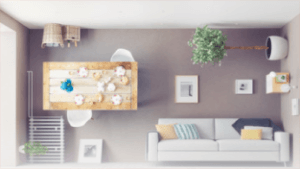 Carefully demolishing the home without affecting the attached buildings was an arduous process, but once that part was completed, constructing a new residence using almost nothing but concrete and cement blocks took only ten months. 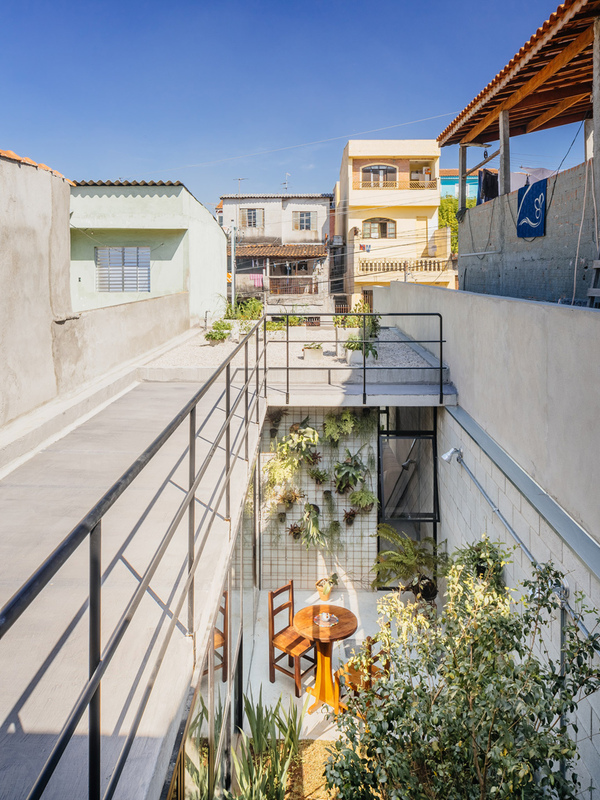 The new home, named ‘Vila Matilde’ after the neighborhood in which it’s located, is a minimalist space for a sole occupant with few possessions. 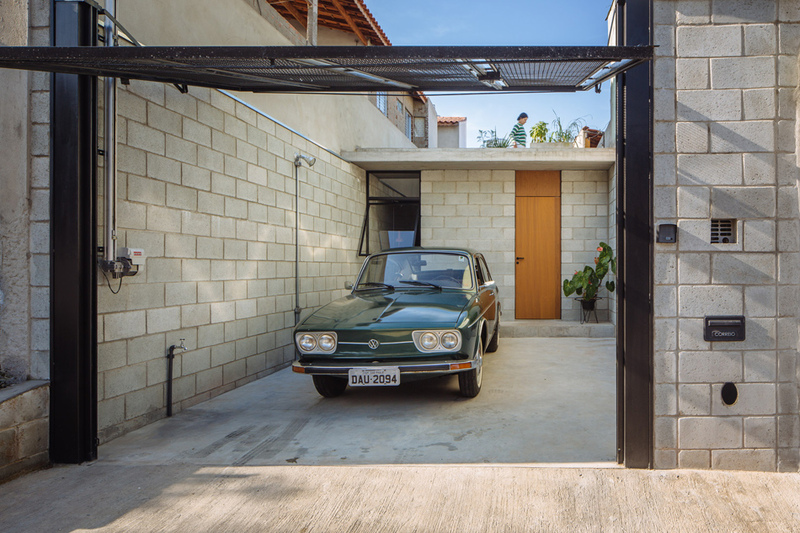 Though the lot is small, the architects managed to fit a one-car parking area, a ground-floor garden and a rooftop terrace into the plan. 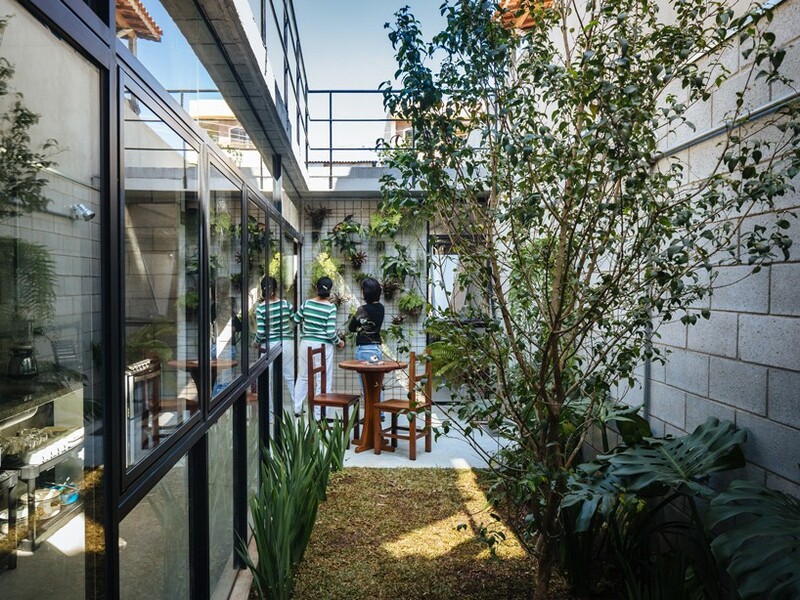 Generous expanses of glass keep the interior of the home from feeling closed-off and dark, including a wall of windows overlooking the greenery. 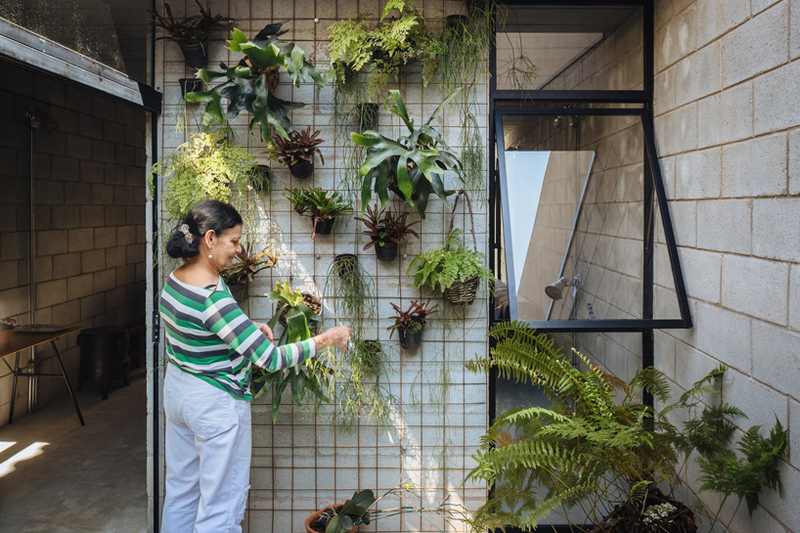 A trellis system enables the resident to cover some of the concrete walls within the atrium with additional plants, softening what could otherwise be harsh surfaces and adding visual interest. A small second-floor bedroom looks out onto the city. 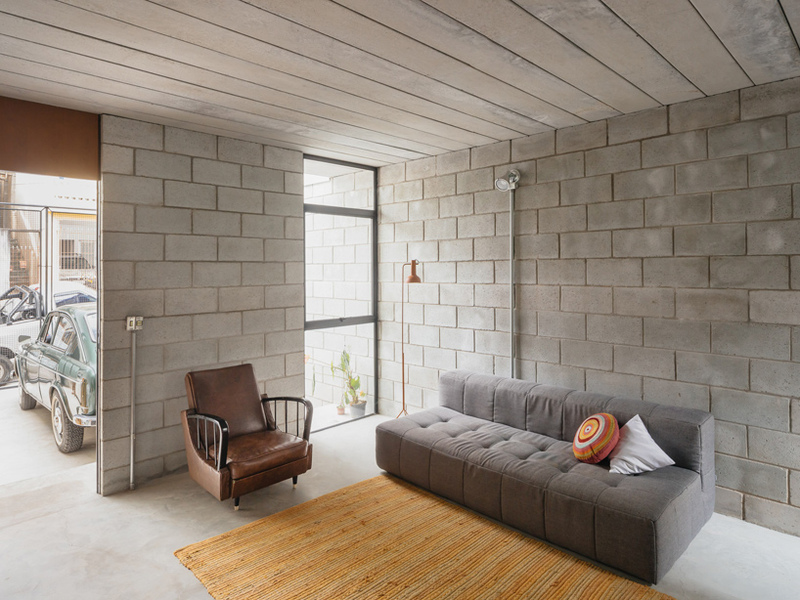 It looks like Terra e Tuma Architects did a great job of achieving that objective with this low cost concrete house.